Mercia 10 x 6 Shiplap Apex Shed Double Door: The Mercia shiplap shed features a traditional apex style roof which provides added storage space for taller items. The Mercia 10 x 6 shed is made with 12mm shiplap cladding, the tongue and groove timber is also FSC certified. The curve recess on each solid board also promotes water to run off allowing the building to be more waterproof. 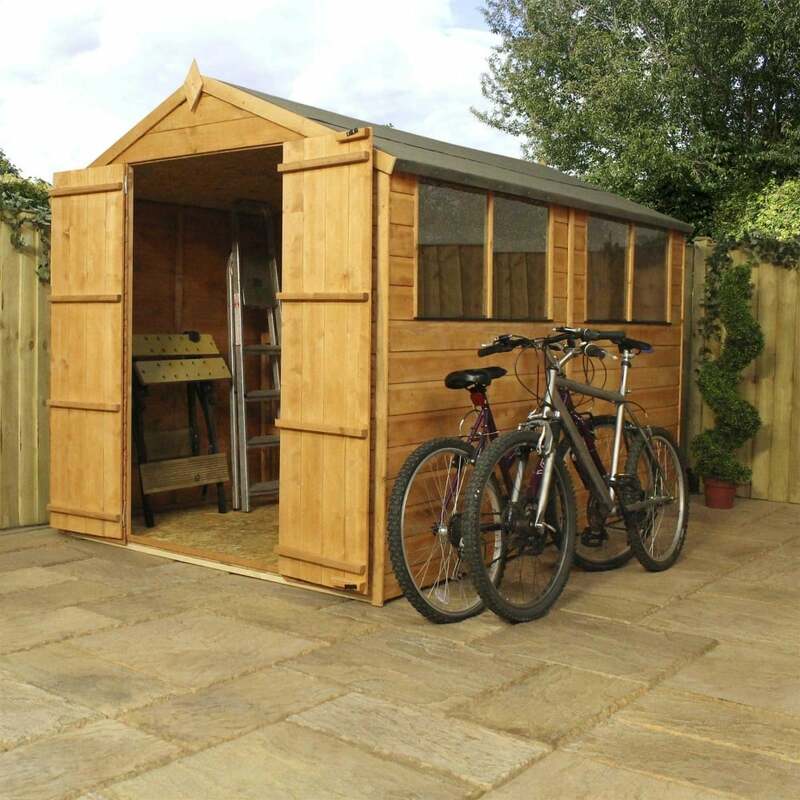 This apex garden shed is built with interlocking shiplap timber panels, solid sheet floor and roof with floor bearers to provide a durable finish. The Mercia shed also includes four styrene glazed windows for ample natural light to filter through.